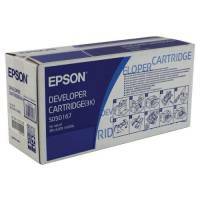 Epson High Yield Toner/Developer Cartridge EPL-6200 Black C13S050166 Pack of 1 "Epson laser toner provides you with crisp printing. Easily installed into your printer. For use with the Epson EPL-6200. Page yield: 6,000 pages. 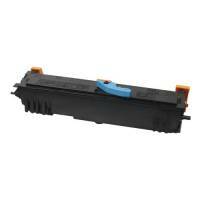 Colour: Black.."
Epson Standard Yield Toner/Developer Cartridge EPL-6200L Black C13S050167 Pack of 1 "Epson S050167 Developer Toner Cartridge Black Standard Yield for use with EPL-6200/L. Page life 3,000." 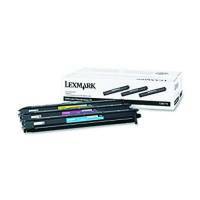 Lexmark C910/912 Photo Developer Kit Colour (Pk 3) 12N0772 Pack of 1 "Genuine Lexmark Photo Developer Kit (12N0772). Fits easily into place in your printer. Designed to help your printer work to its optimum level. Three developers for colour printing. 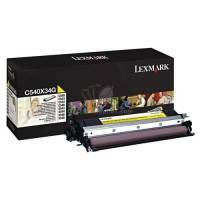 For use with Lexmark C910/C912 printers. Page yield: 28,000 per cartridge"
Lexmark Developer Unit Magenta C540X33G Pack of 1 "Lexmark 0C540X33G developer unit magenta for use in C540, C543, C544, X543, X544 printers. Approximate page yield 30,000." 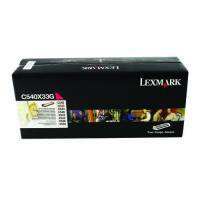 Lexmark Developer Unit Yellow C540X34G Pack of 1 "Lexmark 0C540X34G developer unit yellow for use in C540, C543, C544, X543, X544 printers. Approximate page yield 30,000."